Happenings with Dom and Nan: Caution: GMO Inside! 1. Soy: 94 percent of the US soybean crop was genetically modified in 2011. Watch out for: soybeans, tofu, soy sauce, miso, tempeh, and products containing lecithin. 2. Cottonseed: 90 percent of the US cotton crop was genetically modified in 2011. Watch out for: margarine, salad dressings, and frying oils. 3. 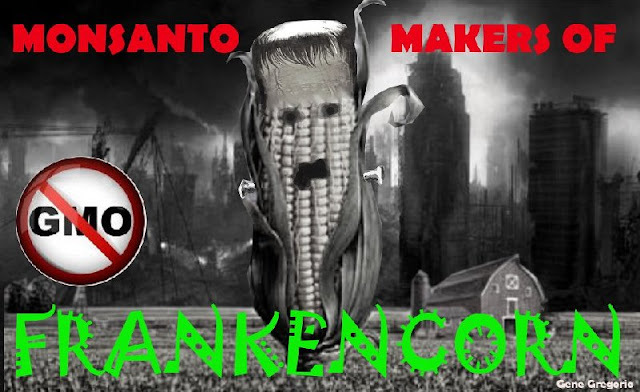 Corn: 88 percent of the US corn crop was genetically modified in 2011. Watch out for: in addition to corn itself literally hundreds of processed foods contain corn in some form, including high-fructose corn syrup, corn starch, corn flour, corn oils. 4. Canola Oil: 90 percent of the US canola crop was genetically modified in 2010. Watch out for: canola cooking oils and sprays. 5. US Papaya: 80 percent of the US papaya crop was genetically modified in 2010. Watch out for: all papaya grown in the US. 6. Sugar Beets: 95 percent of the US sugar beet crop was genetically modified in 2009. Watch out for: bags of sugar and products containing conventional sugar that do not specify “pure cane sugar” likely contain sugar beets. 7. Aspartame: Aspartame, an artificial sweetener, is derived from genetically engineered microorganisms. Watch out for: Nutrasweet, Equal, or anything containing aspartame. Also, there are GMO foods that are being tested or are in production in the US or elsewhere, that will likely end up in supermarkets soon. These include zucchini, yellow crookneck squash, sweet peppers. Potatoes, tomatoes, apples and salmon! All those GMOs getting you down? Don’t panic, eat organic! And look for products labeled Non-GMO Verified. 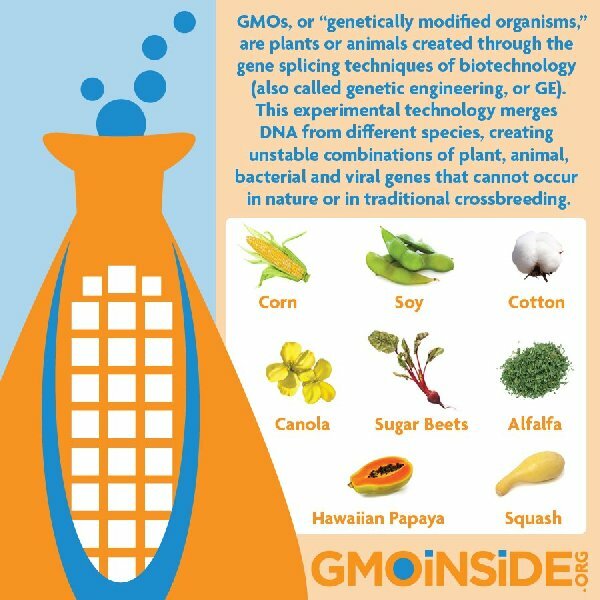 Go to our How to Avoid GMOs page for more tips! Thanks for being our watchdog on this issue!!! I have forwarded the info to some groups I know will be glad to have it... sigh. But thanks!